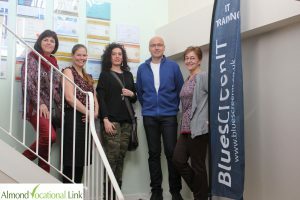 BluescreenIT have been working with Almond Vocational Link for just over a year providing excellent quality work experience placements for Erasmus Plus students from EU countries in the area of information and communication technologies. We have had the pleasure to work alongside Almond in accommodating foreign interns and the experience has been made very easy for us. The interns who visit our site get involved with almost every task we do. Depending on their background and what they want to achieve out of their visit, we can accommodate anything really. We feel that participating as a host company benefits our business in a way where European students have various skills and knowledge that they could bring into our company that would assist us in our daily tasks. Sometimes new ideas are brought to the table and it’s quite refreshing to see. BluescreenIT is one of South West’s leading commercial training providers for a variety of vendors including Microsoft, Cisco, CompTIA, ISC2, Checkpoint to name but a few.As an authorised Enhanced Learning Credit (ELC) and Career Transition Partnership (CTP) partner they have worked to forge close links with the MOD winning the Bronze award for Defence Employer Recognition in 2015. 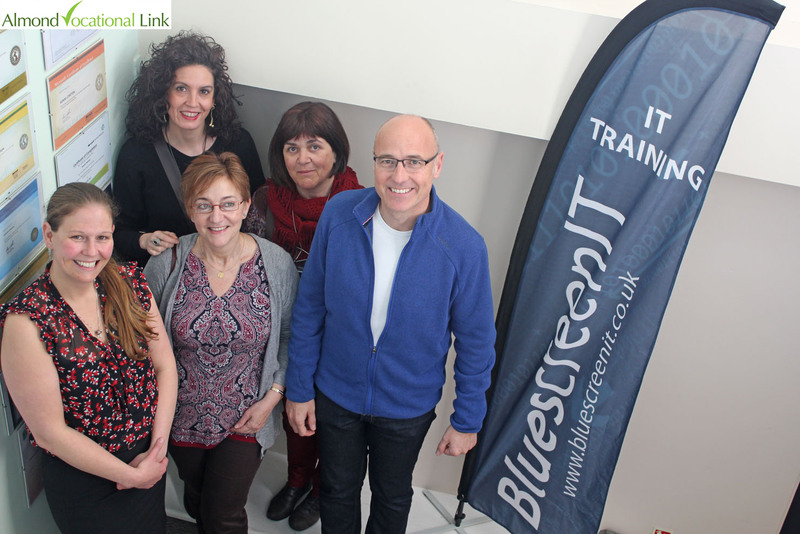 High quality training attracted high quality customers and BluescreenIT are now provisioning training to NATO across the world. 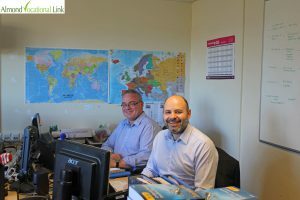 Their links with Cyber Security are strong and they hold Government Communications HQ (GCHQ) accreditation for delivery of their CompTIA Security course that was externally verified by the Accrediting Professional Managers Globally (APMG). The feedback from all Almond’s students who were offered a placement at Bluescreen IT was excellent. Allison and her team put in a tremendous effort into making sure our students feel welcomed and integrate well. Our students have an opportunity to utilise their knowledge in practice as well as a chance to learn new things from professionals. I felt very well integrated, my work placement exceeded my expectations. I’m developing my IT skills and I completed some tasks in the networking field. I’m also learning IT English and technical language. I would highly recommend Almond because their staff are all very helpful and make the process as easy as they can for you. From our experience so far, all the students that have been sent to us are all appropriately placed and have been an asset to us in every way.